Delayed from our normal Tuesday morning post. It is a crazy week. Remember, this ballot and my thoughts are based on games through Sunday, Nov. 26. Just teasing everyone with the look of a delicious turkey dinner with all the fixings. I’ll be honest. The Thanksgiving holiday was a dangerous one this year. I had to choose carefully when to take a bit of delicious food. If I was checking my Twitter account(s) or the D3hoops.com scoreboard while eating, I risked my life. 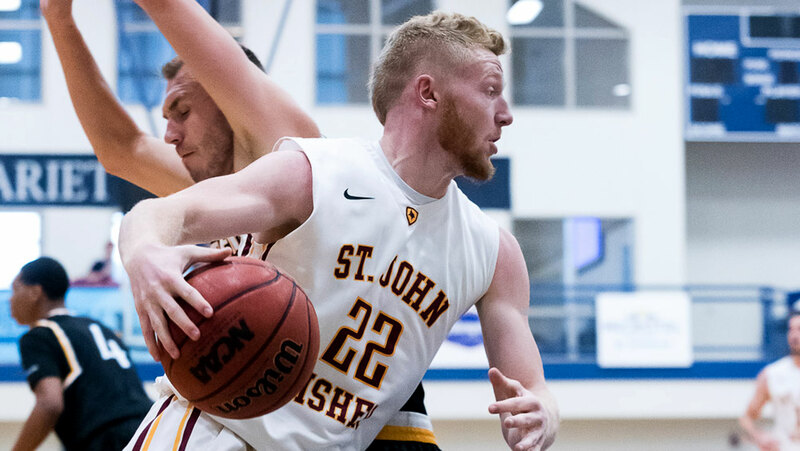 I lost track of how many times I choked on some turkey, coughed up the mashed potatoes, or spit out the stuffing while reading another shocking score from around Division III men’s basketball. (The women’s results made enjoying a piece of apple pie dangerous as well.) I eventually had to turn my devices off just so I could enjoy a meal. What a crazy start to the season. I have talked often here and on Hoopsville about the amount of parity. I feel like a broke record. This year reminds me of the same parity argument. I am trying hard not to keep talking about. Though, there is another factor in place: more teams are willing to play tougher competition early in the season. I am not sure what exactly started the trend, but understanding how the SOS and Results versus Regionally Ranked Opponents aspects of Regional Ranking (at-large, bracketing, etc.) criteria is being used, analyzed, and more has got to be one of the factors in play. More and more coaches I talk to point out their interest in getting their teams better prepared for a possible NCAA tournament run. That includes not only giving them experience against top competition out of their conferences, but also best positioning the program when it does come to playing in March. As a result, more and more Top 25 teams are playing fellow Top 25 programs. More teams are willing to challenge themselves in the opening weeks against tough opponents. That coupled with parity is resulting in a lot more chaotic results in the opening weeks. No complaints. I love how many teams are now playing one another. I wish more would do it. Ok, one complaint. The early-season Top 25 ballots are now insane. There was a time I could just make a few adjustments in the first few in-season ballots and not worry about. Those times are gone and the start of this season is one of the more insane. But again… I shouldn’t complain. Getting to see this much good basketball early on is fun. This week’s ballot was tough. Sixteen of the teams on my preseason ballot suffered a loss. There was also a total of 26 losses! Now some have argued that we (D3hoops.com) should have a poll the first Monday of the season. I am personally glad we don’t. It can be difficult trying to make sense of only a couple of games. I realize that the number of losses on my ballot is reflective of 12 days of competition. That said, the kinds of losses were baffling. There were many situations where Team A beat ranked Team B, but then Team A lost to ranked or unranked Team C who Team B had beaten. Another interesting item: there are a LOT of teams who are undefeated who basically have played no one. Or at the very least, no one who has any record worth talking about. It is the polar opposite of what I talked about in terms of teams playing better competition early on. I skipped over quite a few undefeated teams when I looked at their schedule and saw they basically had played no one – or at least not much of an opponent’s record. Any team I had in the preseason Top 25 and suffered a single loss, I penciled in to their same spot to start with – no up or down movement. Any team that suffered more than one loss, I shifted downward immediately. Any team who was undefeated needed a win on their schedule against a team above .500 if I was going to move them up or include them on the ballot. That’s where I started. You will find that at least with the first bullet point that I stuck with that well. There were some occasions, especially with the third point, that I had to get away a bit from the tenant. I had to do something to fill in 25 slots. For the first time in a long time, I didn’t have enough teams to fit on my ballot. Too many teams didn’t necessarily below in the Top 25 no matter their record. I will concede, though, maybe the standards have to be adjusted (you know… parity). I considered that. It only resulted in having far too many teams in the conversation. If I was going to put in Team X, then Team Y, Z, S, T, U, and others needed to be there for the same reasons. That wasn’t going to work. With that in mind, here is my ballot for Week 1. If you missed how voted in the Preseason, click here. The Panthers look good this season. I certainly don’t expect them to tear through the NESCAC this season and their early season games aren’t exactly head-turning. I am sure we will find flaws eventually, but thanks to a number of losses Middlebury rises into the top five. Oddly, there are only four games on the Panthers’ schedule between now and 2018. Kyle Dixon and the Marietta Pioneers started the season, once again, with impressive wins. This is a bit of a jump, but there was a lot going on to result in this. First off, the Pioneers once again have started a season hot. They dominated Hope, withstood a very well coached St. Thomas team, and most importantly didn’t let down against their next two opponents. Of course, there were a number of teams around and above them that lost as well. Now, I do fear I am going to regret this decision at a later date. Marietta has shown their capabilities of starting a season hot and then hit some kind of lull later; sometimes twice. They are still trying to figure out new pieces and live up to expectations. Maybe they will surprise me and live up to this early season ranking. Not much to say. I mentioned on Hoopsville that their loss to Randolph-Macon concerned me. It showed again that just went I put my chips in, they struggle and drop a game – like early-round NCAA tournament game. Now, RMC shot the lights out of the building and I was told (from an impartial party) they put on a clinic. That is going to happen and I don’t want to necessarily hold that against the Roadrunners – except that is exactly what they will face in March. Ramapo can’t fall too far thanks to other teams’ results. I hope the RMC game is a reminder early in the season that every opponent has Ramapo as a target. I have to keep reminding myself that the Warhawks lost four starters from last season. That said, the pieces they have in place appear to make for a dangerous group. The debate I now have going on in my head: have I put far too much stock in Whitewater because I cannot put much stock in anyone else or is UWW back at the top of the conference and this is a horse worth riding. Despite moving them up five slots, I need more info and there wasn’t much to start the season. The Battling Bishops at least avoided what so many others couldn’t: losing early in the season. They had strong victories over competition that doesn’t seem as strong, but their resume also didn’t provide enough information to make a strong decision. OWU is probably a little too high on my ballot, but someone has to be slotted twelfth. Ben Boots leads the Titans in scoring. Oshkosh could make the WIAC race a crowded one. Very much the same situation as Ohio Wesleyan, I feel the Titans are better than the teams behind them, but not necessarily a Top 15 squad… yet. Their resume included Benedictine, but the same Eagles squad we have known the last few seasons. They also had a win over St. Norbert, who once again seems to just reload faster than anyone else. We are clearly in no-man’s land here. These moves are directly related to the number of teams who lost not only in the Top 25, but elsewhere. I have stated I like the Thoroughbreds, but this may be too high especially with their same “shrug” resume. They at least won and to start this season that is worth noting. They also dominated a Plattsburgh squad we are used to be at least competitive. So I have Skidmore near the lead after breaking from the gate. When we hit the turn, I will be very curious to see how Skidmore tackles conference play. Hobart made a splash to start the season defeating two preseason Top 25 squads. … I had to get Hobart ahead of Rochester. If you have read these blogs often enough, you know that when Team A beats Team B I don’t necessarily just move A ahead of B. It usually is more complex than that and certainly not in a vacuum. The exception being the beginning of the season. There isn’t much else to compare against. I was nervous I had put too much on the Yellowjackets to start the season, but they impressed me to start including a win over a Stockton squad those in New Jersey keep whispering to me about. St. Thomas is back on Dave’s ballot. Didn’t take long. The Tommies can sometimes just baffle me… in a good way. I am also fully aware that sometimes teams are so well coached at they can end up coming out of the gates very well. It is when the season becomes a grind that young, inexperienced teams can then show their cracks. Those cracks are what I expected to see early on for UST. However, one of the best coaches in the country is at the helm. I should have remembered that. Hmm… even writing this makes me nervous. Yes, the Gothic Knights have started 5-0, however let’s be frank… they haven’t really played anyone. That said, their mid-season schedule is pretty solid and they at least avoided that thing we keep talking about – losses. The NJAC race is going to be once again a real battle. Maybe I am putting stock in NJCU too early, but they also have one of the more dynamic players in the region. They could be fun to watch. Wow. This was a rough start for the Cardinals. Who knows why, but losing to Heidelberg and Whitworth surprised me. Maybe Whitworth can be understandable if it was the only loss, however they already took the hit from Heidelberg, so I would have expected them to be more prepared for their trip to Hawaii (I need to find a way to run a tournament there!). This decision may be based only the fact the Polar Bears beat Babson. I watched a good part of that game and liked how Bowdoin played. While Babson isn’t as good as I expected, Bowdoin appears better than I figured. There is plenty of justification to simply remove the Beavers from my ballot. I guess I’m just not ready to do that. There are some who will never vote for anyone but the defending championship number one in the preseason. I don’t believe in that, but I could be guilty of giving a defending champ a little more leash at the start of a season. I like the pieces and the schedule is always one of the best. However, Babson didn’t look good in their losses to Endicott or Bowdoin. Despite taking a loss, I liked what I see from this Beavers squad. MIT has good, what appears to be talented, size inside and from those I listen to who have watched them more than I they are on a different level this season. Their win over Tufts made me notice; they loss to Keene State made me scratch my head – that’s going to happen a lot this season. The Warriors had a terrific start to the season. Their 5-0 start included wins over WPI, Montclair State, and Colby. That is at least a resume I can appreciate more than most early in the season. I had a lot of choices down in this part of the ballot and went with Eastern Connecticut because something about how they are playing intrigues me. I had the Jumbos on my ballot pretty much until the very end. Despite a 2-3 record and having never voted for a team below .500 (I rail on coaches’ polls in other sports that always insist on having below .500 teams on their polls), I felt Tufts still have some terrific weapons and the ability to play with the best in the country. Then it occurred to me: they may have those pieces, but they still had a rough start to the season. They lost to a very good WashU squad and clearly a solid MIT team. They will return to my ballot should they put this stretch behind them. This could be temporary. I am confident the Quakers are going to be the team to beat in the ODAC, but they didn’t start the season very strong. Their losses actually raise more questions about their opponents than it does about Guilford. Missed this one. Big time. I would love to tell those who are wondering what is going on with the Stags something I have learned. I don’t know. All I know is that their preseason All-American, Michael Scarlett, is dressed but not playing – no idea why. CMS has lost their first four games of the season and they just do not look good. I just do not know what to make of it except… this one feels like a big miss right now. I will freely admit I may have been too confident about the Cardinals. Despite a coaching change and losing a darn good center, I thought SJF would still be a team to reckon with. They are still good, but it is going to take time to get all of these pieces in place and clicking. Their win over Wooster actually kept the Scots off my ballot. Their loss to Hope is what took the Cardinals off my ballot. Ouch. That may have been the roughest start I have seen from the Royals … ever. The loss to York – ok. The Spartans are a team people will be talking more about later in the season. The loss to Wilkes – interesting. Not sure what to make of the Colonels right now. Then there is the loss to Widener – guh. I have mentioned I worry about Scranton’s inside presence, but now I am worried something else might be amiss. The Bison are a good team with some very good talent. Remember that. Their one loss was to Wesleyan which initially wasn’t going to result in demoting Nichols. However, to make that move I needed to put Wesleyan onto my ballot (i.e. my Hobart move). I am not ready to move Wesleyan. So, for now, the Bison are off my ballot. I doubt it will be for long. So, there you go. A bit of a topsy-turvy Top 25 ballot. I am sure there will be quite a few more of these this season. In reality, this is a good thing. We get to enjoy interesting matchups and a lot of nights have games worth checking out. Certainly makes the beginning of the season far more fun. This entry was posted in General, Hoopsville, Top 25 News and Notes and tagged Augustana, Babson, basketball, Bowdoin, Christopher Newport, Claremont-Mudd-Scripps, d3hoops, Dave McHugh, Division III, Eastern Connecticut State, Emory, Guilford, Hanover, Hobart, Hoopsville, Hope, Illinois Wesleyan, Marietta, Middlebury, MIT, NCAA, NESCAC, New Jersey City, Nichols, Ohio Wesleyan, Ramapo, Randolph-Macon, Rochester, Scranton, Skidmore, St. John Fisher, St. John's, St. Thomas, Tufts, UW-Oshkosh, UW-River Falls, UW-Whitewater, Washington U., Whitman, Williams. Bookmark the permalink.